Do your toes just seem to itch without relief? Does it seem to get worse after your toes get wet after you take a bath or shower? When you itch those toes, does it just seem to make the problem worse instead of better? If you’ve got some skin cracking with your itching toes, there’s a very good chance that what you’ve got going on is a case of athlete’s foot. The first thing you need to know is that when you scratch your toes, you could spread that fungal infection from your foot to your nail. The other thing you need to know is that athlete’s foot can also spread to your toes on its own. If your foot is in a moisture-rich environment and you’ve got cracks or gaps in your toenail coverage, you’re creating the perfect environment for your athlete’s foot to become a nail fungus infection. Once that happens, you’ll need to treat it. If you don’t, you’ll have an infection that can last indefinitely! What’s the First Step In Treating Itchy Toes? If you notice that you’ve got some itchy toes and nothing seems to be relieving the itch, then the first step you should take is to treat that itch with some over-the-counter medications. There are good anti-fungal lotions, creams, and sprays that are available from your local drug store that can be used in conjunction with your efforts to keep your feet drier and cooler. For many, this treatment combination is effective and can eliminate the itchiness in just a couple weeks. The sooner you treat an athlete’s foot problem, the more likely you are to get a successful outcome utilizing this treatment method. Even if you don’t have cracking skin yet, but your toes are itching – especially the inside of your toes – then spend the few dollars that it costs to get an OTC remedy. Every proactive step you take in treating athlete’s foot will eliminate two reactive steps you might have to take later on. Follow the application instructions on the unique product you purchase at the store – each one has separate instructions and you may need to apply the treatment up to three times per day. How Can You Keep Your Feet Dry? Itchy toes love a wet, warm environment so they can keep driving you nuts! That’s why keeping your feet dry, above anything else, is extremely important. You can’t always control how warm your feet will be since most people wear shoes every day in some way. You can, however, work hard to keep your feet dry throughout the day. One of the most common ways that people keep their feet dry during the day is through the use of an antiperspirant. You know, the stuff that you put in your armpits every day so your body odor doesn’t cause people to run away from you, silently screaming from the smell! A little on your feet, especially if you’re just sweat lightly for the most part, can help you stay dry and as a bonus, your feet may smell better once you take your shoes off too! If you struggle with sweaty feet, then you might also consider purchasing some socks that are designed specifically to deal with foot moisture. The technology behind these socks is similar to the material you’ll see in modern athletic jerseys, especially soccer/football/futbol jerseys. The fabric literally pulls the moisture away from the body, brings it into the material, and then exposes it to the air to evaporate it. You’ll need breathable shoes to make this option work. If the special socks aren’t keeping your feet dry enough, there are powders which can help soak up the remaining moisture. Even baby powder can work! Just lightly dust your feet before putting them into your socks. Be careful not to put too much on, however, because you’ll end up with a lump of sweaty glue in your sock! You’ll also likely need to take the powder with you and reapply it at least once during the work day. What Else Can You Do As a Preventative Measure? If your itchy toes are still itchy and you’ve been keeping them dry, then trying to keep them cooler throughout the day is another important part of the equation. Tight shoes, high heels, and other dress shoes can all create a warm environment for your feet that the itchy toes just love. Changing shoes can help a lot, but you’ll want breathable shoes that keep the air circulating around your feet. The best shoes for this are obviously tennis shoes, running shoes, or some other form of athletic shoe. These shoes are designed to keep feet comfortable, dry, and as cool as possible while performing some sort of exercise. If your company’s dress code allows you to wear these shoes, then do it for a little while until the itchiness of your toes finally melts away. That’s not an option for everyone! If you do need to wear a certain style of shoe, try to take your shoes off during your break times or when you’re by yourself. Every moment you expose your feet to the air, you’re letting the sweat evaporate from your feet and that creates a natural cooling action! The longer you can keep shoes and socks off your feet, the better off you’re going to be. If you’re really struggling to keep your feet cool and you can’t get your shoes off during the day, bring a small fan along with you that you can station around your desk that can blow air over your feet. Even the most unbreathable shoes will circulate some of this moving air for you! And if that’s not a possibility, put your shoes on at the last possible moment before heading out and then take off your shoes as soon as you possibly can. What If Nothing Is Helping My Itchy Toes? cracking or splitting of the toenail may occur because the fungal infection can actually degrade the cellular structure of the nail itself. These are all indications that your minor case of athlete’s foot has progressed into a more serious infection of the toenail. This can happen to anyone at just about any time, even with proactive measures in place where you’re trying to prevent it! It is estimated, in fact, that up to 10% of the world’s adult population suffers from some sort of nail fungus infection at any given time. Having a nail infection doesn’t mean you’ve done something wrong. It does mean, however, that you’ll need to take a more active role in treating the fungus that is causing your feet problems because itchy toes could soon be the least of your worries. What’s the Best Way To Treat This Kind of Infection? Once your athlete’s foot has progressed into a more serious nail infection, then it’s time to get serious about your treatment. 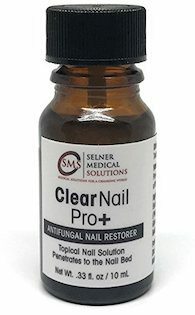 That’s why there’s ClearNail Pro+! It’s an extremely effective product to help you root out the fungal infection that’s in your toenails. Athlete’s foot can cause itchy toes and a burning sensation in-between your toes that can be incredibly uncomfortable. It can spread under your toenails and create even more discomfort and even kill your nail if given enough time! That’s why you need ClearNail Pro+ today. It’s one of the most effective solutions on the market today to quickly clear up yellowed toenails that are being destroyed by a fungus. Don’t ignore the problem! Don’t keep itching your toes! Get ClearNail Pro+ today and clear up your athlete’s foot once and for all!